The first impression anyone has of your home is your lawn. When the lawn is lush and clearly well-maintained, it leaves strangers with a passing impression that your home is your pride and joy and that it looks lovely. However, a yard overgrown with weeds is a problem. While weeds are a common, and pesky, occurrence most anywhere you go, they’re less likely to pop up unannounced and unwelcome in a yard that is properly maintained. A lawn filled with lush grass tends to block weeds by taking the valuable water and nutrients they need to grow. Many homeowners notice a weed or two here and there, but they aren’t bothered by it since there are so few. However, it’s not uncommon for one or two weeds to turn into dozens in no time at all once they are able to break through your grass and spread their own seeds into vulnerable areas of your lawn. Weeds are aggressive and irritating, and they have to be managed before they are allowed to get out of control. 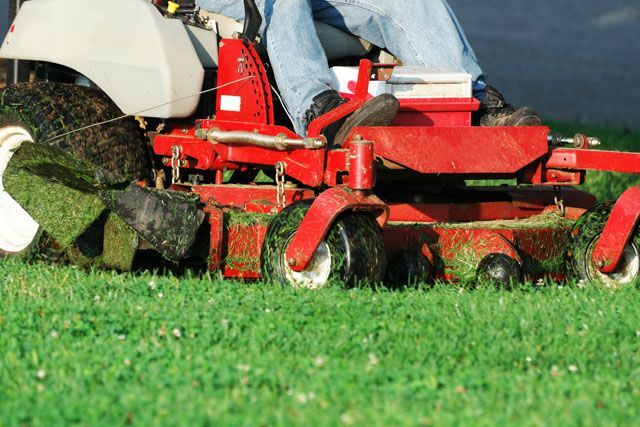 At A Great Choice Lawn Care and Landscaping, we manage and overcome your weed issues from the beginning to the end. We start with a very simple method; we identify the type of weeds in your yard. Once we know what is growing and thriving, we create a comprehensive plan to overtake the weeds and make it all but impossible for them to grow through your beautiful grass again. Eradication is our end game when it comes to weeds, and we like to think we are ruthless. Because there are so many various weeds that affect any given lawn or garden, we make it our business to know what we are working against so that we can handle the situation the first time. Personalized service is what makes our company the best in the area. The best way to minimize the appearance of weeds is to carefully keep your lawn. When your grass is healthy and regularly landscaped, it’s more difficult for weeds to grow. Healthy grass is very selfish when it comes to water, nutrients, healthy soil and light. That kind of selfishness is good, because it does not leave anything for weeds to use to grow out of control. Our company makes it a priority to maintain your lawn to the best of our abilities, and we are familiar with any type of grass imaginable. This means weeds stand very little chance against our team of landscape professionals. The added benefit is that your lawn looks even better than before with healthier than ever grass and no more out-of-control weed issues. The other issue many homeowners find with weeds is that they don’t just love your lawn. They also love your landscaping. Whether you have flower beds with rock, grass or mulch, weeds like to make it their business to grow there, too. Your carefully created flower beds and landscaping are better than weeds, and few things are as frustrating as realizing you have to get outside and pull weeds on a regular basis. Hand-pulling is just fine when you have a stray weed here and there over time, but it’s impractical for an overgrowth. Our landscape professionals work with the best weed killers on the market, and we are big believers that preventative maintenance is the best way to ensure that weeds do not become a problem in your landscaping. Our professionals kill weeds at the root, making sure it is impossible for them to make a comeback. We then work with rolls of environmentally-friendly ground cover to ensure that weeds are smothered and unable to grow through the material that eventually degrades as time wears on. We then take care of ensuring your landscaping looks phenomenal from this point forward. Professional weed control is not something people always realize they can use until it’s too late. Oftentimes, homeowners assume that their weed control issues are ones they can handle on their own, even though they are not. Professional weed control saves you not only time and money, but also aggravation. Weeds start one or two at a time and become worse very quickly. When you use our professional weed control services, we handle the issue before worse becomes a problem. In addition to removing, maintaining and preventing weeds, we help maintain a gorgeous lawn for your own peace of mind. Our job is to control weeds so you don’t have to. Your job is to enjoy your beautiful lawn and your lovely landscaping without worrying about pulling weeds on a regular basis. Let us do the difficult work while you enjoy your lovely home. At A Great Choice Lawn Care and Landscaping, we know that your lawn is an extension of your home. 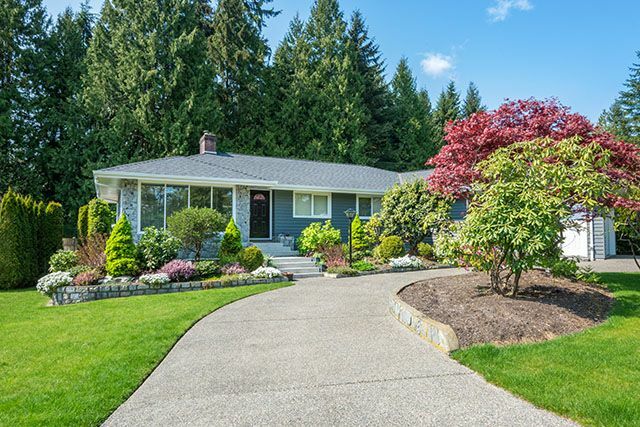 We want you to smile when you pull into your drive each day knowing that you can enjoy the house rather than worry about weeds and an unattractive yard. Call our professionals today at (607) 729-3451 or fill out the online estimate form on this page to schedule an appointment to improve your yard today.